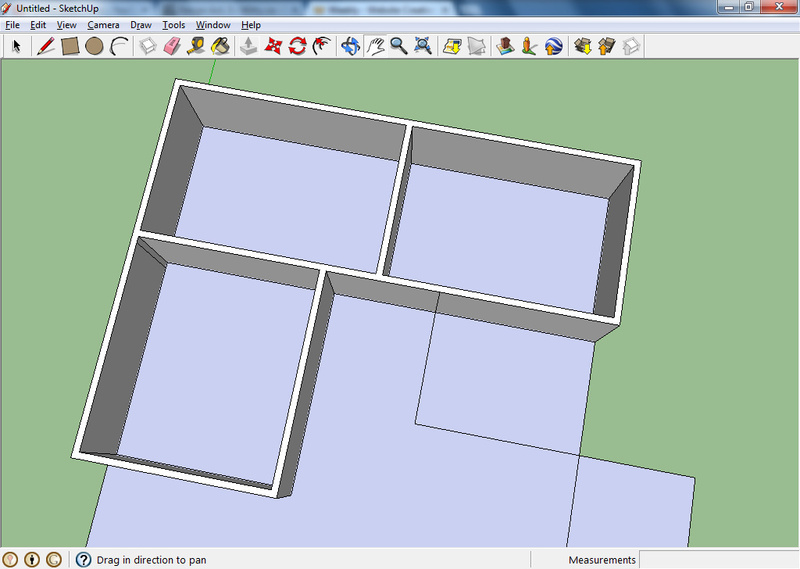 Sketchup is a great tool for designing in 3D. However, to get exact measurements, we will be starting in 2D. Also, where our AutoCAD work has been in 2D, this will be a nice segway into the world of 3D! Grade 9 students are introduced to Computer Aided Drafting (CAD) using Google Sketchup, which is a free download from Google. 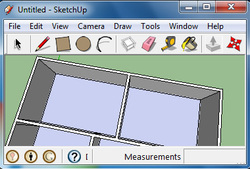 Rename your Google Sketchup house to "YOUR-NAME-3D-house-full.skp"
(it might not have the ".skp" part). Write down all the things that YOU HAVE MADE on your house! WARNING: I recommend students skip the last parts of Part 2 and Part 3 (Display Settings) as Sketchup often changes where to find these options in the menus. Students must complete the 3 tutorials above before beginning the assignments below. Pull your 2D Floor Plan into a 3D House! Choose wisely between Options A & B.
them best will have their mark adjusted. If you are new to Google Sketchup and/or you have been struggling with the units we have covered so far, then you may request Option A. Please ask the teacher if you have a question about this. House can only have one storey and no basement. For students who are comfortable using computers. Keep quiet areas separate (bedrooms, bathrooms, ...). Keep social and entertainment areas separate (living room, kitchen, ...). Place a bathroom close to each group of bedrooms. Windows usually face front and back of the home (as neighbours are often on the sides).